If you’re planning to drop on bended knee over the holiday break…congratulations! Hopefully, you’ve selected that perfect sparkling engagement ring, but if you’re still on the hunt, you still have time! Since December is the prime month for proposals, there are likely going to be many stories swarming the internet detailing perfect proposals…and engagement rings. According to WeddingWire, Christmas is the number one day for proposals. And the options for a #holidayproposal are endless: underneath the mistletoe, by the Christmas tree, on a sleigh ride, or maybe even while watching that favorite holiday movie. However, we think every couple’s engagement story is uniquely perfect and know that your proposal will be the most memorable for you and your beloved. But before your future fiancé can emphatically say “yes,” your perfect ring must be discovered. 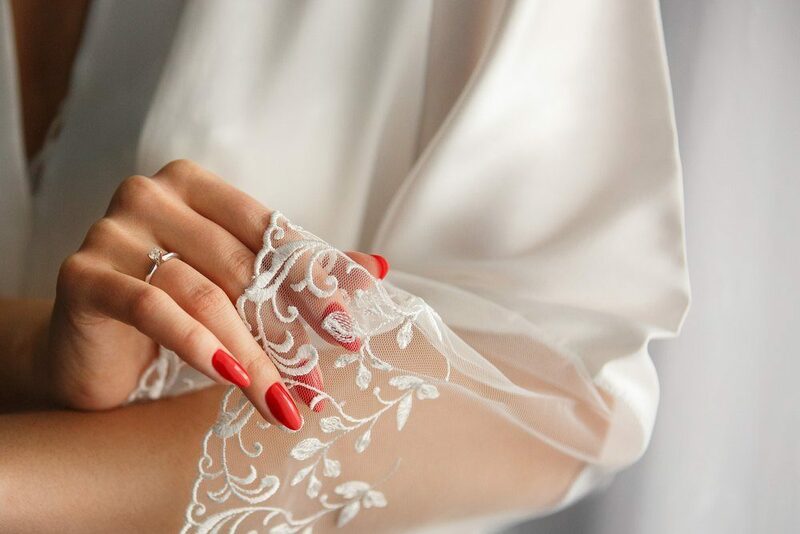 While personality and style may dictate a ring preference, there are many styles that are edging out the competition this year. As we prepare to welcome 2018, here are the most romantic engagement ring styles and designs that are exploding in popularity! This setting hue will probably not surprise anyone! Rose gold has been the darling of the color wheel for a few years now—it was even reflected in one of Pantone’s 2016 Colors of the Year Rose Quartz. You can find rose gold as the color of choice for tech gadgets, lipstick hues and even shoes. But rose gold shines blushingly best when used in jewelry. 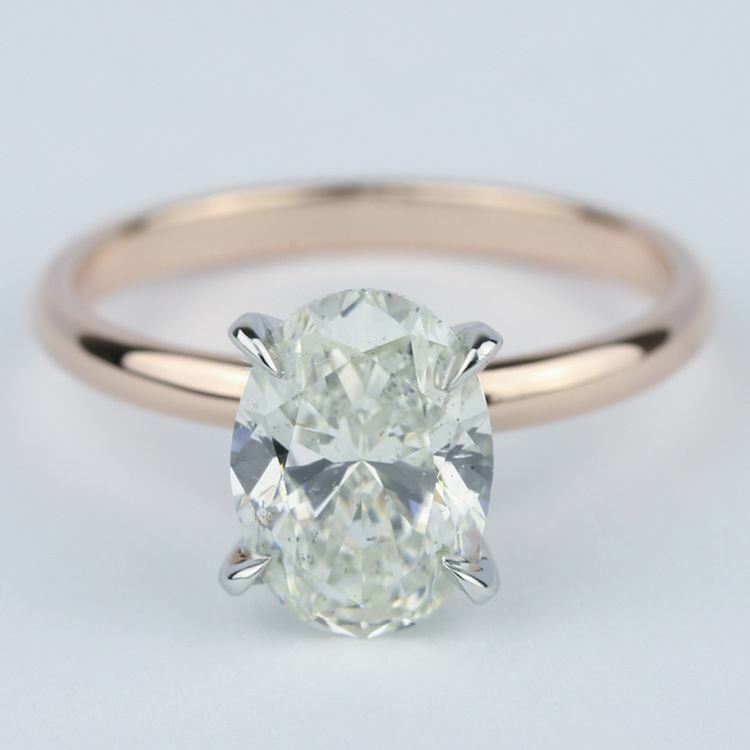 The warm pink hue of rose gold makes such a romantic choice for engagement ring settings. 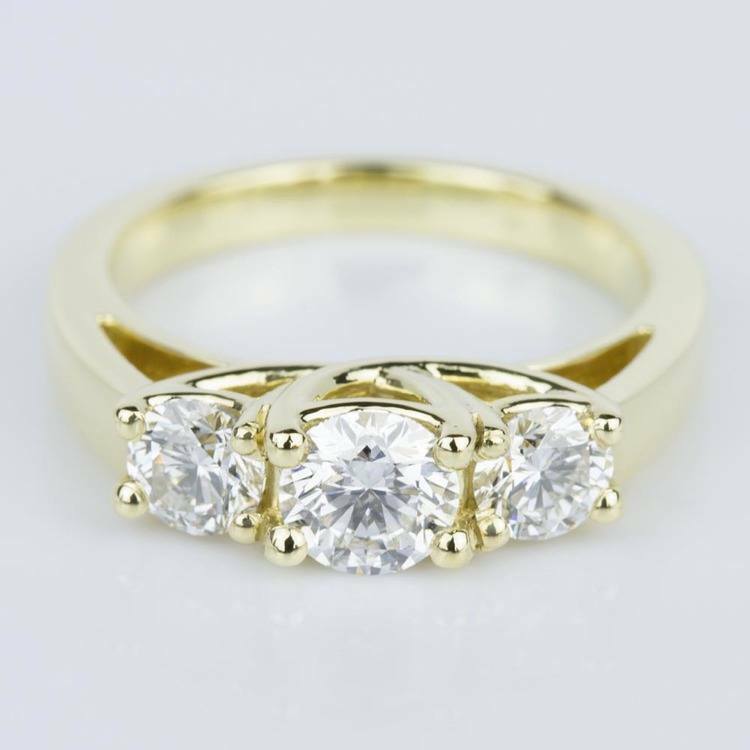 And while the metal hue is incredibly popular, it’s also a little surprising since the classic choices for engagement rings have always been white/yellow gold and platinum. Rose gold is also an ideal metal for vintage-inspired engagement rings and captures the beauty of Victorian floral designs perfectly. While rose gold lends an authenticity to vintage-inspired settings, this on-trend metal also can be used to create more modern or contemporary designs. As rose gold is warm in hue, the metal may mask any yellowish undertones in diamonds with a less than flawless color grade. Rose gold also plays well with colorful gemstones and creamy pearls. Move over, Kate Middleton, because Meghan Markle’s three-stone ring is about to explode in the jewelry world. While you can never perfectly replicate Markle’s elegant engagement ring from Prince Harry—it does, after all, feature two of Princess Diana’s diamonds—you can still design a similar style. 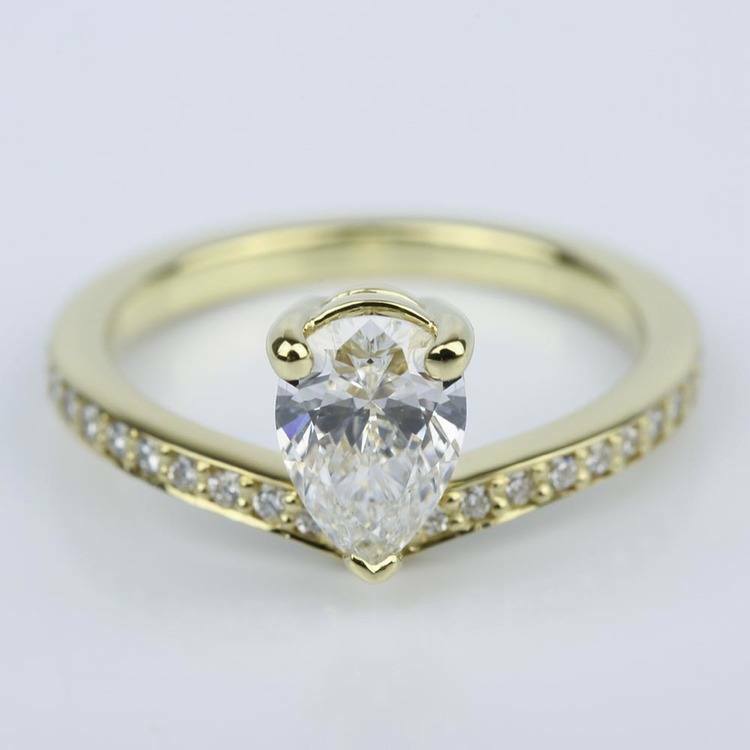 Markle’s center stone is a cushion cut diamond, while the side stones appear to be round brilliant. Opt for a larger carat cushion centerpiece set between two smaller round diamonds. For the full Meghan Markle look, choose yellow gold. Representing the past, the present and the future, three-stones rings are a symbolic choice for a modern engagement ring. But this ring design doesn’t have to only include a trio of diamonds. 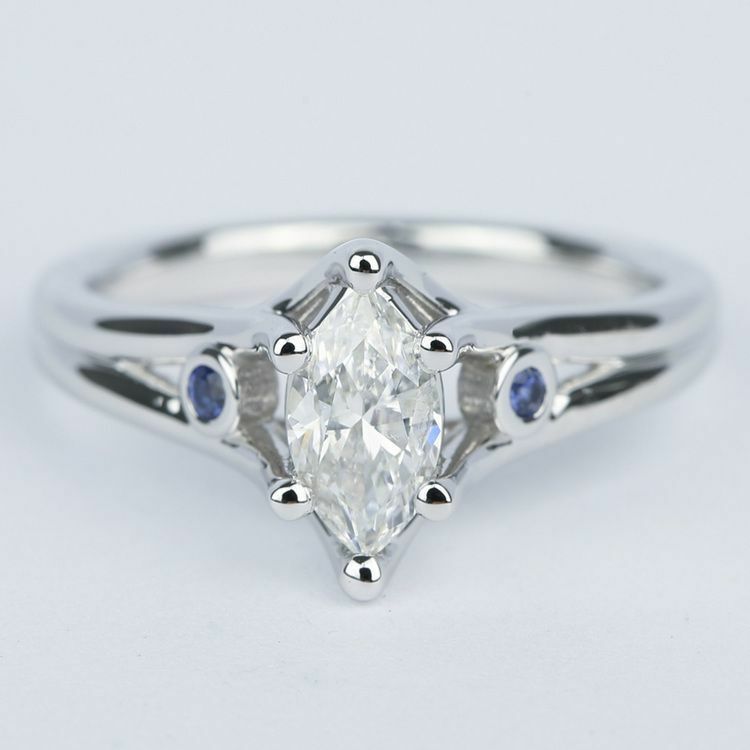 Choose a larger center diamond and flank your birthstones on each side. 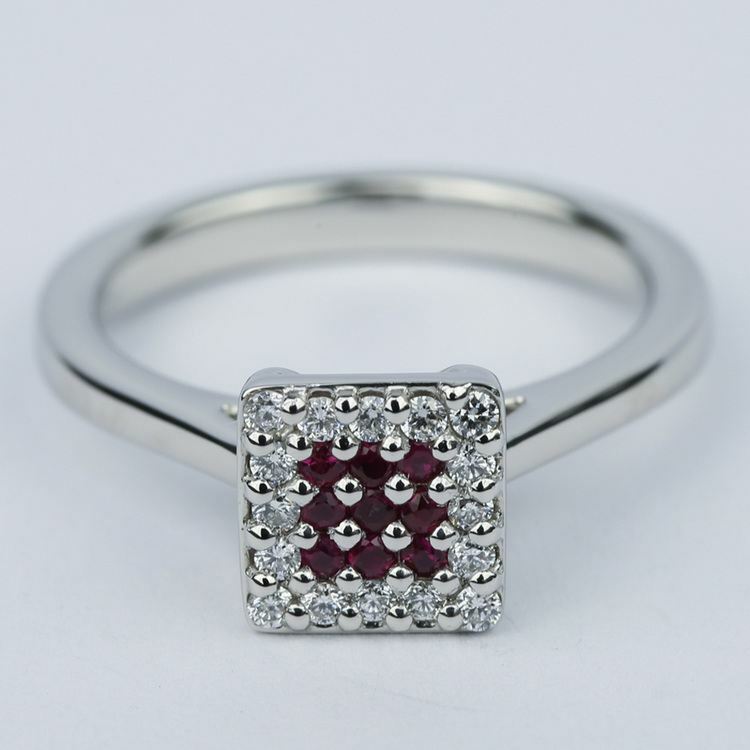 Or design this ring with your favorite colorful gemstone or add black diamonds to the sides. While three-stone rings are traditional, they can be redesigned to embrace modern looks and your own personal style. Play with color, add different stones and create a memorable and one-of-a-kind three-stone engagement ring for an unforgettable proposal! More engagement rings are featuring center pieces that are gemstones instead of diamonds. Some choose gemstones as a nod to their birthstone while other buyers opt to shun diamonds for ethical reasons. Others simply find a gemstone centerpiece more affordable. We think gemstones of all hues create memorable and beautiful engagement rings. And just because you choose a gemstone for a centerpiece, it doesn’t mean that you have to forego the diamonds completely. Surround your gemstone with a diamond halo or add brilliant diamonds as side stone accents. 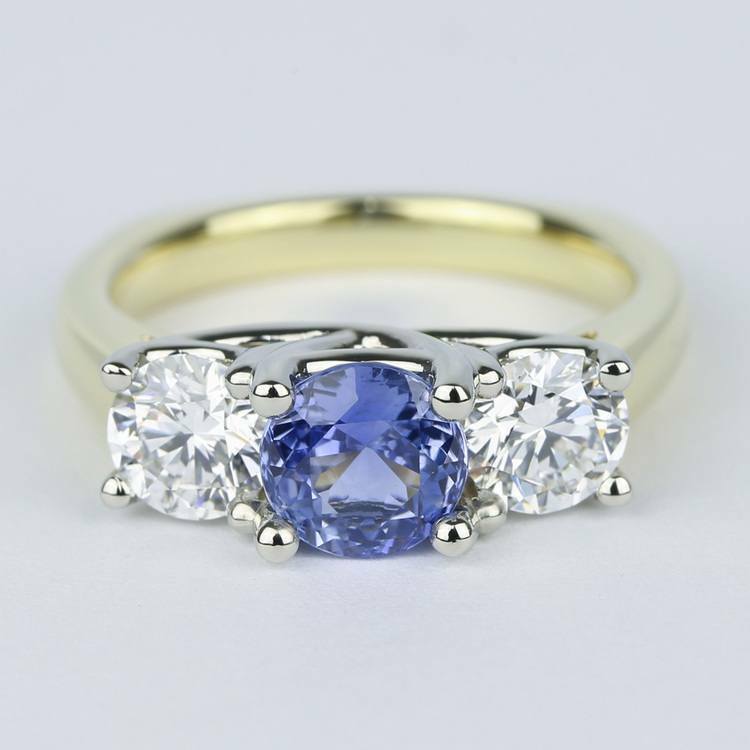 The ‘Kate Effect’ made Princess Diana’s massive sapphire engagement ring a star of the Pinterest world. But the ring also propelled colorful gemstones into the engagement spotlight. This trend has opened up new designs and styles for engagement rings, and, suddenly, opals, sapphires, rubies, amethyst and even pearls are popping up on engagement selfies as the star of the ring. According to The Knot, pear shaped and marquise cut diamonds are getting their moment in the spotlight. These two shapes both feature brilliant cut facets to maximize fire, but the shapes also have a slimming effect on the hand. When selecting these two shapes for your diamond engagement ring, however, be sure that the proportions of the shape are balanced and that the shapes aren’t cut too thin or too wide. So what other ‘fancy diamonds might you select–beyond pear and marquise?’ To draw interest to the hand, choose shapely cuts and designs to create geometric-inspired shapes like square-shaped Asscher (a vintage-inspired square step cut design), cushion (or pillow), and emerald. Feeling less conventional? Try kite, trilliant, and heart shaped diamonds for a uniquely shaped sparkler! The Knot also reports that vintage-inspired designs are popular. The vintage and vintage-inspired trend may always remain en vogue. There’s nothing more iconic than Art Deco rings from the Roaring 20s or Edwardian inspired designs. As shows like The Crown bring back our interest in styles from the past, engagement ring designs will continue to pull inspiration from vintage periods. While some ring designs earn the most pins and shares during the holidays, there are many more designs that simply reign during the whole year! So what were the most popular rings of 2018? 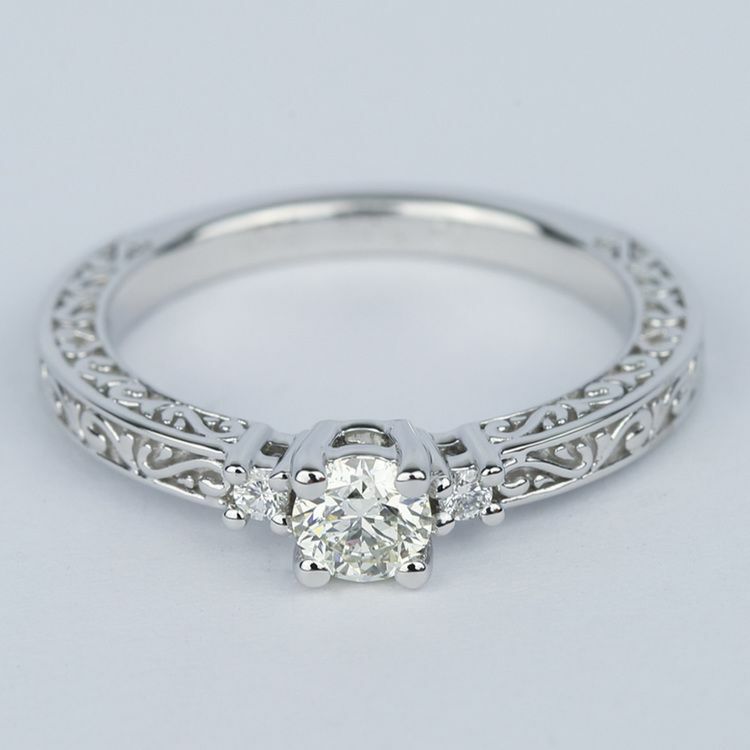 Vintage-inspired designs ruled the year with many couples selecting rings inspired by Victorian, Edwardian and Art Deco designs. But upside-down engagement rings showcased a unique trend for those looking for a more unconventional style. Daintier center diamonds and gemstones pointed to a trend of ‘less is more.’ But cluster settings and sideways (or east-west) settings also topped the list of trendy styles. Here are some trending styles on Brilliance! 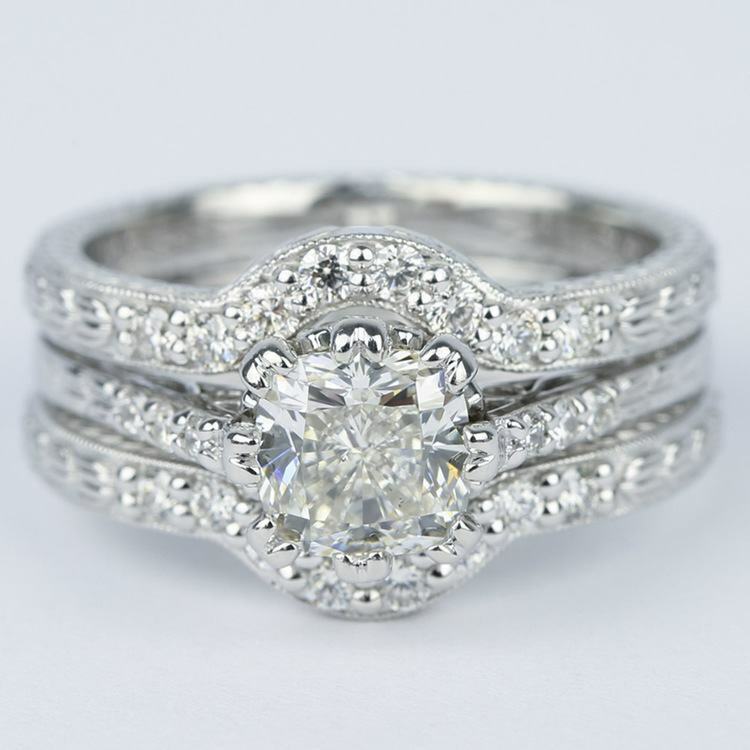 While trends come and go, the ring you choose for your future fiancé will represent vows that span through generations. Choose a ring that incorporates individual style and that draws inspiration from your love for a symbol that represents that the best is yet to come.